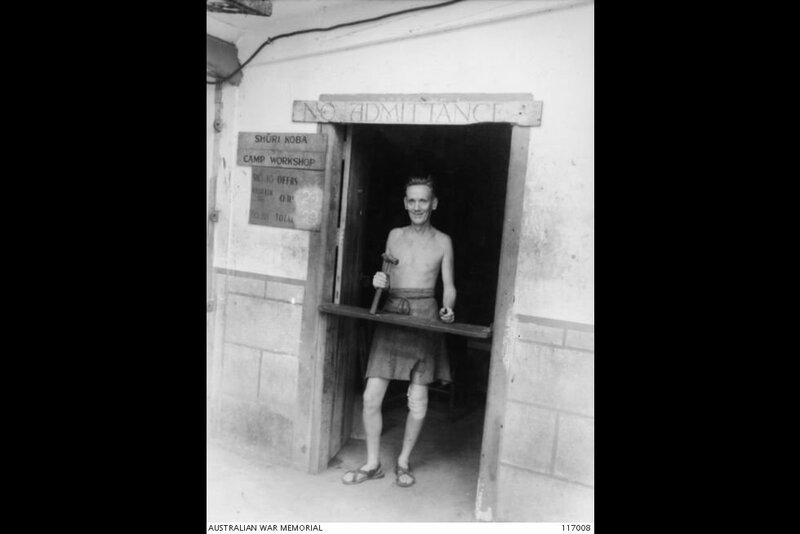 Private E. J. Lancaster, an Australian ex-POW, at the door of the camp workshop at the Changi gaol (Singapore), 10 September 1945. Image courtesy of Australian War Memorial. 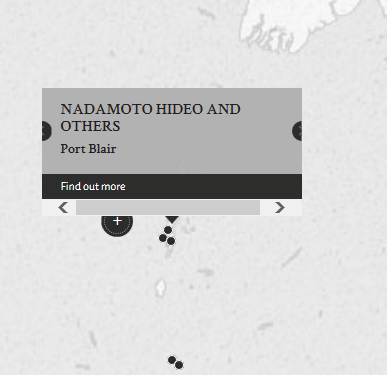 Nadamoto Hideo was a Japanese civilian in charge of a Japanese repair workshop near Aberdeen Jetty in Port Blair who oversaw local Indian workers alongside his subordinates; fellow Japanese civilians Monobe Yukitaka and Moriguchi Yasuo, the workshop driver and clerk respectively. On 15 January 1945, two locals, Mohd Amin and Salam Din were ten minutes late for work at the workshop. Nadamoto Hideo took Salam Din to his office and ordered Monobe Yukitaka and Moriguchi Yasuo to beat him. Salam Din was tied to an electric pole and beat with thick sticks for 20 minutes until he lost consciousness, while Nadamoto Hideo looked on. After about an hour, Mohd Amin obtained permission to to give Salam Din some water and to remove him to Mohd Amin's house. Salam Din's wounds turned septic five days later and he died in the beginning of March 1945. Nadamoto Hideo subsequently gave Mohd Amin 20 rupees in funeral expenses. All three Japanese civilians were charged in court-martial for the ill-treatment and death of Salam Din and found guilty with Nadamoto Hideo sentenced to life imprisonment and the others sentenced to 15 years imprisonment. Mohd Amin suggested that Nadamoto Hideo covetted a pair of shoes belonging to Salam Din, who would not surrender the said pair of shoes to Nadamoto Hideo. Therefore it was alleged that Nadamoto Hideo used Salam Din's lateness as an excuse for revenge. The sentence, like all war crime trials cases, was reviewed by the Office of the Judge Advocate General and the report detailed that the Office had found it difficult to understand why the court-martial did not award death sentences, since the Prosecution's case disclosed a brutal and justifiable assault directly causing the death of a man. Nonetheless it did not amend the sentences. Nadamoto, Hideo. Civilian, Repair Worksop Section In-Charge. From Japan. Guilty. Life imprisonment. Sentence confirmed. Monobe, Yukitaka. Civilian, Repair Workshop Driver. From Japan. Guilty. 15 years imprisonment. Sentence confirmed. Moriguchi, Yasuo. Civilian, Repair Workshop Clerk. From Japan. Guilty. 15 years imprisonment. Sentence confirmed. R.R. Major. From British Indian Army. Dunsford, S. From British military. Brown, D.E. Major. From British military. Uchida,. Zenjiro. Bachelor of Laws, Japan. Kempson, J.S. Lieutenant. From British military.